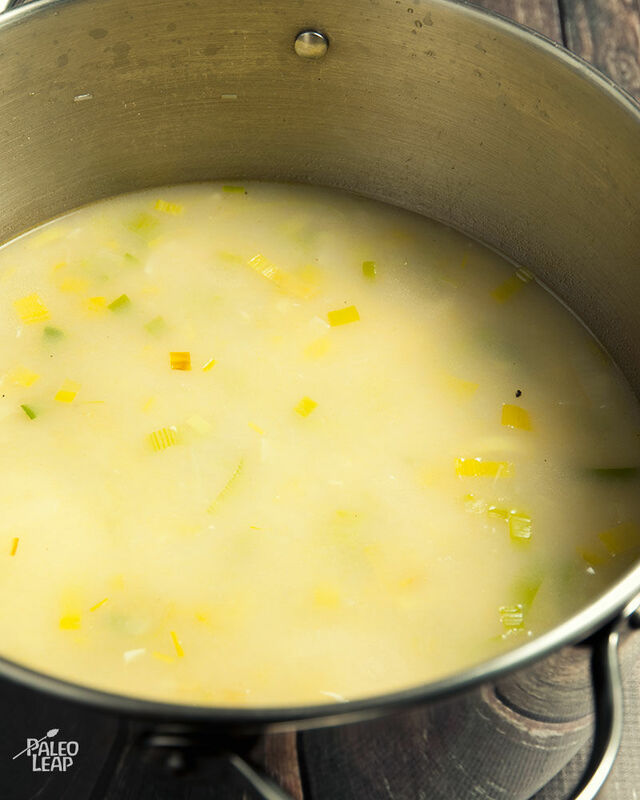 Leeks are the perfect vegetable for a winter soup: rich and warming, with a silky texture and a mild sweetness. They’re actually part of the onion family, so the flavor is very slightly onion-y, but without the bite. Unfortunately, being related to onions, leeks aren’t great for anyone with a FODMAP intolerance, but for everyone else they make for a very tasty bowl full of important nutrients. This soup uses leftover cooked chicken to add some fast protein – it’s a great way to use the rest of a roast chicken if you make one for dinner and have leftovers the next day. Just toss the bones and wingtips in a stock pot or slow-cooker overnight to make the stock, and it’ll be all ready to cook the soup for lunch or dinner the next day. 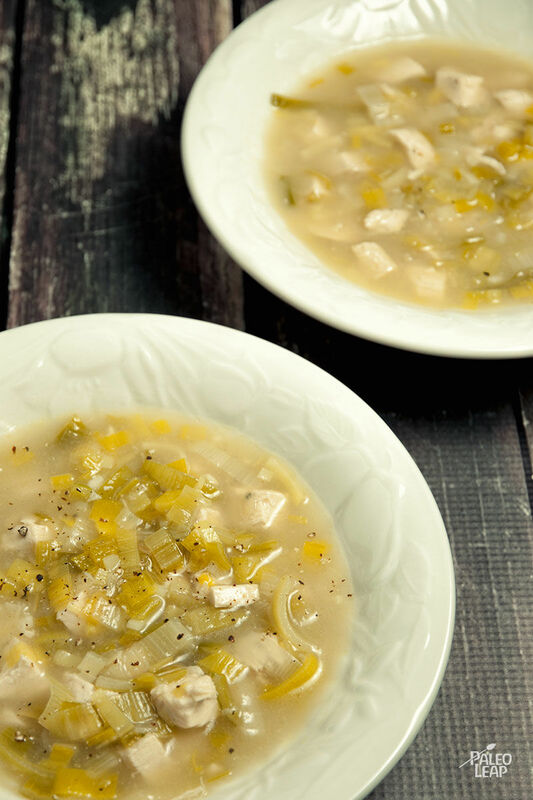 This soup would also be great for anyone sick, since the flavor is so mild and the homemade chicken stock adds plenty of delicious healing power. And it’s so simple to cook that it’s almost as easy as heating something out of a can, only so much more nutritious, and definitely a lot tastier. SERVES: 4 PREP: 15 min. COOK: 45 min. Melt some cooking fat in a large saucepan placed over a medium-high heat. Add the leeks to the saucepan and cook until soft, about 10 minutes. Add the chicken stock and water and bring to a boil while stirring. Lower the heat and let simmer for about 15 minutes. Add the chicken and coconut milk and cook until the whole soup is warmed through. Remove one ladle of warm broth from the soup. Mix it with the tapioca starch in small bowl, and then slowly add the mixture back to the soup while stirring, until the soup reaches your desired consistency.